Cydcor is gearing up for fun with our annual R&R event only weeks away! We have had a stellar year so far, due in large part to everyone in the business. We plan to celebrate and reward our organization’s success by holding our R&R 2014 event in the beautiful Bahamas! We have some amazing things planned! For starters, we’re kicking off R&R 2014 with a Bahamian-themed postcard caption contest on our Facebook Page. To enter, go to www.facebook.com/CydcorLLC , and submit an original caption in the comment section. Cydcor will select the winner with the best caption. 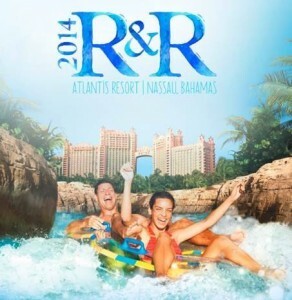 The winner will receive $100 toward food and fun during R&R 2014 in Nassau, Bahamas! As such, all entrants must be a primary registrant to the R&R event (primary registrants’ guests and Cydcor employees are not eligible), however, we greatly encourage ‘likes’ for contestant entries and shares among friends and family! Contest begins Wednesday, September 24, 2014 at 12:00 PM PST and closes Sunday, September 28, 2014, 11:59 PM, PST. Our winner will be announced on Monday, September 29, 2014, on Cydcor’s Facebook page. With the dedication of valued teams, we continue to grow and expand our business and our family. We truly wish to recognize and appreciate all of their hard work! Valid entries are comments that caption the related post on Cydcor’s Facebook page. To be eligible, entrants must be (i) at least 18 years of age and (ii) a primary registrant attending Cydcor’s Bahamas R&R event (primary registrants’ guests and Cydcor employees are not eligible). Only one comment per participant is allowed. Profanity or inappropriate language, as determined by Cydcor, in its sole discretion, will be disqualified. The $100 non-transferrable credit will be awarded onsite at the event and can only be used during the event. Contest begins at 12:00 PM, PST on Wednesday, September 24, 2014 and ends at 11:59 PM, PST on Sunday, September 28, 2014. The winner will be selected by Cydcor, in its sole discretion, and announced via Cydcor’s Facebook page on Monday, September 29, 2014. This promotional offer is not intended to create a partnership, joint venture, co-ownership or other association between Cydcor and the participant. This promotion does not have a connection with Facebook in any way and is not sponsored, endorsed or administered by, or associated with, Facebook. By entering the contest, participants agree to fully release Facebook from any and all liability.